Fixed width wide style that is lightweight for very fast load times. 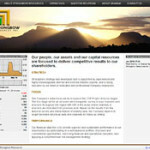 One of our own websites that is targeted at the smallcap public companies. No CMS is used or any special backend features. The FLV player is by Jeroen Wijering and can be used in a dynamic fashion loading differnet videos based on the current page. The website is coded using Coldfusion8 and contains only one actual page. The content for the other pages pages is displayed based on the URL value and is sourced using includes not database records. Customized ecommerce website developed using ColdFusion 8 and Microsoft SQL Server with a very powerful shopping cart and informative revenue and user reporting functions. The site administrator can add new albums and the site will automatically create the various image sizes and watermark the album covers. All of the content display throughout the site is completely automated. Another publicly traded company website from Webscape Internet integrated with stock information components from Alpha Trade. 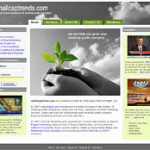 A dynamic image on the home page sets the tone for the company when potential investors first arrive. A classic dropdown menu makes the website easy to navigate and also offers an attractive display with its’ semi-transparent drop down menu items. A very simple and elegant design for a public company. The feature graphic on the home page is key to making the site work. It projects the image the client wanted and tells the message visually. 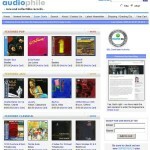 A site like this can be produced for very little money yet provides the company with a site that still says “quality”. This is a great place for a company to start while they grow their company. The site can be further developed and enhanced at a later time but for now the company has something to present to potential investors and other industry people. A complete membership website developed using ColdFusion 8 and Microsoft SQL Server. PreachIt Audio was an immediate success for the owner. Members can download MP3 sermons to play on their Ipods and other mobile devices as well as their laptops and desktop computers. A completely automated recurring monthly billing module is included.